Strong design and durable materials. SCANPAN CTX is an exclusive series of pots and pans for the everyday demands of food enthusiasts. With CTX, you get uncompromising cookware in the best Danish quality. The ceramic titanium surface is extraordinarily robust and safe for use with metal and steel kitchen tools. The durable non-stick coating ensuring perfect cooking and the brushed steel exterior makes CTS look great on every stove. Does not contain PFOA. Read more about the CTX series at the bottom of the page. Products in the CTX range are manufactured at our factory in Denmark. The series is suited for all cooktops, including induction. The CTX range is constructed with performance and functionality in focus. Each product is built of 5 layers, each one with its own function - among them steel for durability and induction compatibility and an aluminium core due to its excellent heat conductivity. In addition to the user-friendly features given by materials, construction and production technique, pans and pots from the CTX series are formed in true Danish design with an exterior of satin finish steel in sharp contrast to the black interior. 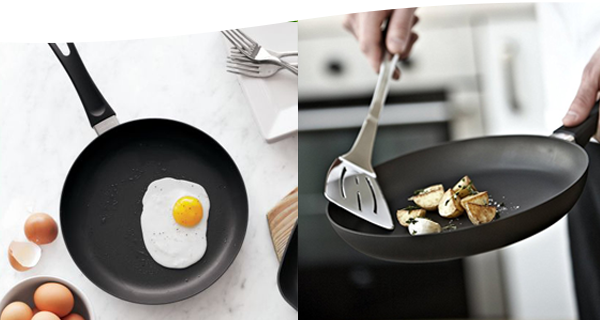 Products in the CTX range have the famous SCANPAN non-stick coating, which is hard-wearing and very easy to clean. 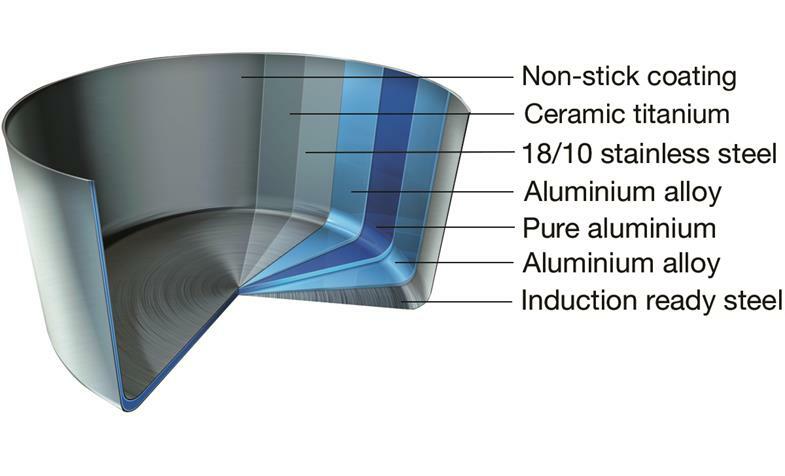 Our coating consists of two layers - first titanium then PFOA-free coating - that during the production process melt together, forming one exceptionally solid surface. Read more about our unique coating here.